September | 2015 | Sonic Smash-Music! 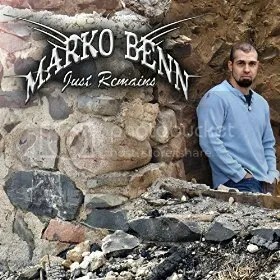 The singer and songwriter known as Marko Benn has released his latest full-length record, “Just Remains.” The album contains 10 original tracks for an approximate total listening time of 35 minutes. It has been proudly published as an independent release without the support or influence of the corporate music industry. Raw, unmitigated and full of sonic emotion, “Just Remains” is the definitive work from this remarkable singer-songwriter from Ontario’s burgeoning music underground. Marko Benn cites as main artistic influences Chris Cornell (Soundgarden, Audioslave) and Danny Shirran of Dubai, UAE. His own music falls not far from these trees, being largely founded on heartfelt vocals and rhythmic and ringing acoustic guitar chords. Benn’s singing is a masculine kind of beautiful, genuine and true, his guitar work straightforward and strong. Still, Marko Benn’s “Just Remains” is a record based on songwriting more than any of its other high qualities. In terms of chord progression and lyric poetry both, it is a work of humble genius resonating outward from Benn’s real-life narrations. Nevertheless, the album is uplifting rather than sad. It is refreshing, invigorating, and often warm. The effect is like a hand outstretched to the listener offering goodwill, brotherhood, and the understanding that comes from having felt several colors of pain. Largely a studio musician, Marko Benn has stated that his overarching goal in music is to raise funds for sick children and their families. Marko Benn’s popular single, “Precious Moments” was made available on iTunes and elsewhere in 2012 with all proceeds going towards this worthy cause. “Just Remains” by Marko Benn is available online worldwide. Also be sure not to miss his “Precious Moments” video (link provided below). The award-winning singer and songwriter from Belgium known as Wendy Honestly has released her debut solo single, “Tattoo Tears.” The track has been published as an independent release without the influence of the corporate music industry. It is Honestly’s most prominent and anxiously awaited single since her “Lady Masquerade” hit, which went gold in 2013. Sultry, shadowy, and bearing the best elements of soul-pop and modern electronica, “Tattoo Tears” showcases Wendy Honestly as one of Europe’s best kept secrets. Wendy Honestly cites as chief musical influences Amy Winehouse, Lana Del Rey, Paloma Faith, Selah Sue, Dido, Norah Jones, Tracy Chapman, and many other great singers known for their powerful sonic poetry. While Honestly’s vocal performance on “Tattoo Tears” places her among vocalists of this high caliber, her musical accompaniment is also reminiscent of groups like Massive Attack, Portishead and Goldfrapp. “Tattoo Tears” by Wendy Honestly is also being released with an accompanying official music video. Music by Wendy Honestly first strikes the listener as music which draws one in and makes a colorful place in which to experience the moods, tones and emotions it evokes. If the music fan pays attention, however, it may be the intended meaning and suggested themes which eventually hit the hardest. Honestly’s stage name isn’t just for show, either. It’s a direct representation of her actual self. True to form, her new single is one which resonates with the earnest pains and obstacles of her own life. But “Tattoo Tears” wasn’t recorded for this reason alone, naturally. Wendy Honestly knows the importance of music and of musical inspiration, both as an artist and as a person. Wendy Honestly received a golden record for her single with DJ David Latour, “Lady Masquerade.” The track charted for five months and hit n°10 after just three weeks. She has published many popular dance and rap songs, such as “Live Free” with DJ Mark With a K. She has performed live in London, Monaco and at her home base of Belgium. “Tattoo Tears” by Wendy Honestly is available online worldwide. Get in early, soul-pop fans. I wanna dedicate this song to all people who’ve had a great deal of suffering in their life, who’ve stayed strong on the outside, yet are broken on the inside. I wanna let them know they are not alone. Just like I see this song as the closure of 15 years of drama and pain in my life, I want them to find the strength inside themselves, and let this song be an eye-opener. Only you have the power to set your own limits, to demand self-respect and gain self-confidence again! The key is inside you. Nobody else can live your life. I have learned that without being at rock bottom, I would never have gotten the insight that the drama actually was a true blessing in disguise. I needed this journey to grow as a person. Without the struggle, you cannot appreciate the good things as much. I have a mission in my life. It is to help and heal others with my words. Through my songs I am able to do this on a large scale. It would be beautiful to see if I could only let a few people discover the truth within themselves. If the past didn’t happen, I would never have become a singer-songwriter! Therefore I feel blessed and thankful. 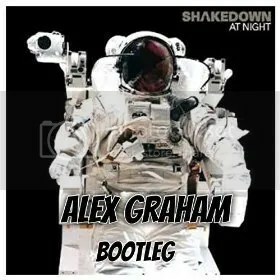 The DJ and composer of digital dance music known internationally as Alex Graham has released his latest house-music single, “At Night.” The track has been released as an independent track outside the influence of the corporate music industry. Pulsing, pounding, vibrant and grooving, “At Night” from Alex Graham is the latest proof that the tradition of house music is more alive in 2015 than ever before. Alex Graham is a multidimensional musician with experience playing 14 different instruments. A true veteran of the house-music underground, Graham has been working as a DJ for more than two decades. His expanding credits as a music producer span the last seven years. The present release of “At Night” stands out as a prominent example of his skills, being a much touted, updated bootleg remix of an already highly acclaimed classic. Alex Graham has been DJing since the age of 14. He has performed as the headlining act at private parties, illicit raves, and as a special guest for many other live acts. His experience in classical music connects him to many corners and avenues not often associated with house music, a fact he has not taken for granted. His classical music training may also be heard in the characteristic way his music transitions from one movement to the next, sometimes gradual, sometimes unpredictable, but always intuitively and in a way that excites the listener and provokes plenty of action on the dance floor. Graham has extensively performed live as a DJ in the British Isles and abroad, and has shared the stage with such popular artists as Wally Lopez, Bodyrox, MOS, and a great many others. His music has been graced by master vocalists like Pepper MaShay, Amrick Channa, Angie Brown, Rozalla, Hanna Jones and Toyah Wilcox. Some of the underground music industry’s best labels have published Alex Graham music, including Skint Records, who released his double A-sided single with plans for more, and Miss Moneypenny’s, who released a triple-CD album featuring no fewer then eight Alex Graham original tracks. Still more high-profile labels have expressed interest in music by this eminent DJ, ensuring that listeners and dancers alike have plenty from him on the way. Graham has hinted that a fresh, new live set is in the works and may be ready for live performance as early as winter 2015. “At Night” from Alex Graham is available online worldwide. 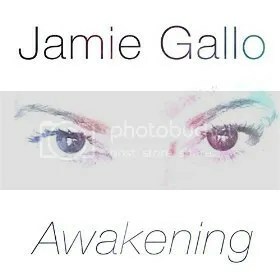 The singer and songwriter from Hawaii known as Jamie Gallo has released her much awaited full-length record, “Awakening.” The LP contains 10 original tracks for an approximate total listening time of 40 minutes. It has been published as an independent music release without the involvement of the corporate music industry. Melodic, rocking, thrilling, beautiful, powerful and full of the original alternative rock tradition, “Awakening” by Jamie Gallo is the rock record the scene has been wanting. Jamie Gallo cites as main artistic influences Joni Mitchell, Thom Yorke, Whitney Houston, Chaka Khan, Christina Aguilera, Stevie Nicks, and Al Green. Her own vocal sound and style reflects her great taste in music, having elements of Mitchell and Nicks both, as well as the precision of Houston and the insouciance of Aguilera. Gallo’s overall tone blends groove with grunge and adds a touch of funk. Her “Awakening” album also boasts that particular tenor of folk-rock which gave the original alternative rock groups, bands like Blind Melon and Soul Asylum, the ability to play hard with acoustic instruments or lightly while plugged in. Like many of the world’s best musicians, Jamie Gallo got her start in music via Sunday psalms. As one might intuit from the title of her record, the themes of “Awakening” remain close to her rock-n-roll roots. Jamie Gallo’s current official bio describes her as a mother, writer, advocate, lover and student of life. She has written for film, documentaries, and TV. Playing often on her island home of Maui, her music has been heard as far away as Hollywood, Colorado, Germany, and even China. “Awakening” by Jamie Gallo is available online worldwide. Fans of alternative rock should get in early. 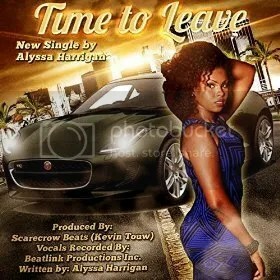 The singer and songwriter known internationally as Alyssa Harrigan has released her new pop single, “Time to Leave.” The track has been published as an independent release outside the reach of the corporate music industry. Smooth, classy, heartfelt and full of warm optimism, “Time to Leave” from Alyssa Harrigan proves that this songstress is a voice to hear in 2015. Originally from the Caribbean island of Tortola, Alyssa “Monet Lyssa” Harrigan cites as main artistic influences Jessie J, Sarah Vaughan and Emily King. With crystalline, natural vocals and the additional talents of Scarecrow Beats (Kevin Touw), her “Time to Leave” single is right at home among the works of these popular musicians. “Time to Leave” by Alyssa Harrigan comes on the heels of her debut single, “On Top of the World (ft. Teejay).” Both tracks have been published with official music videos which are freely available for listening and viewing from Harrigan’s official website (link provided below). Harrigan’s pop-music repertoire is rapidly growing with still more music appearing on her official SoundCloud page all the time. Accessible and catchy like the best pop music should be, her tracks are characterized by bright moods and genuine lyrics, often accompanied by thrumming and unadorned acoustic guitar music. Music by Alyssa Harrigan is also informed by a passion for jazz which the careful listener will hear in her tastefully subtle singing style. An artist with music in her blood, Alyssa Harrigan comes from the same family who founded Harrigan’s Music Studios. The studio is renowned in the British Virgin Islands for teaching piano, drums and guitar. It is celebrating its 25-year anniversary in 2015. Now living and studying in London, Harrigan has performed live at exclusive resorts such as Peter Island and Oil Nut Bay, and honed her craft as a regular weekly performer first at Quito’s Gazebo in Cane Garden Bay, then later at Maria’s by the Sea Hotel in Road Town, Tortola. Still, a rapid rise to prominence as an independent pop artist hasn’t stolen Alyssa Harrigan’s humility. “Time to Leave” by Alyssa “Monet Lyssa” Harrigan is available online worldwide beginning Sept. 24, 2015. The piano-pop heroes from Minneapolis called Seymore Saves the World have released their acclaimed debut LP album in a new revision, “Seymore Saves the World (Deluxe Edition).” The deluxe edition of Seymore Saves the World’s self-titled album comes wrapped with two bonus tracks, “I’m Into Something” and “3 Interludes,” for a total listening time of about 50 minutes. Upbeat, colorful, imaginative and fun, “Seymore Saves the World (Deluxe Edition)” is the new definitive SSW record and a must-listen for fans of piano pop around the world. Music fans not yet acquainted with Seymore Saves the World should find much in the deluxe debut to chew on. Fans of indie-minded pop artists like Ben Folds are especially likely to appreciate the 14 original songs the LP boasts. Online music critics have recommended Seymore Saves the World’s original debut record to fans of Austin, TX’s Fastball and Los Angeles’ short-lived alternative crew, New Radicals. Fans of indie staples such as the Bad Plus, Weezer, Built to Spill, or Mates of State will likewise strike an interest. The members of Seymore Saves the World are veteran songwriters and performers in their own right, including Scott Hefte (Superdanger), Shawn Neary (Tapes ‘n Tapes) and Nate Perbix (Cowboy Curtis, “Nate on Drums” TV program). Like their original debut record, the deluxe “Seymore Saves the World” LP has been proudly published on the Royalty Etc. Records independent music label, which also hosts such popular groups as ZibraZibra, Middlepicker, Collapsticator and Space Camp. 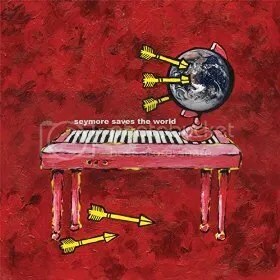 “Seymore Saves the World (Deluxe Edition)” by Seymore Saves the World is available online worldwide. 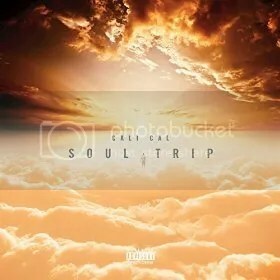 The hip hop artist called Cali Cal has released his awaited full-length record, “Soul Trip.” The LP has been published as an independent release with nine original tracks for an approximate total listening time of 35 minutes. Often big and booming, occasionally sweet and low and always exceptionally stylish, “Soul Trip” from Cali Cal is an album fans of pop, rap, R ‘n’ B and hip hop alike will be able to agree on. Florida-born Cali Cal cites as main artistic influences Michael Jackson, Drake, Lil Wayne, Frank Ocean, Bryson Tiller, and Usher. His own sound borrows traits from many of these, but the result is a modern spin on a classic sound based on deep drum ‘n’ bass cuts and some of smooth urban poetry. In terms of composition and songwriting, “Soul Trip” indeed boasts many of the best qualities of soul music, as well as of rhythm and blues, and fans of both genres are likely to find much they appreciate in Cali Cal’s new record. “Soul Trip” is the third official release from Cali Cal, who has also sometimes been billed as YoungCaliMojo. It is preceded by his 2013 LP, “Take Notice,” and 2012’s “IDK” full length. Both albums remain available from the artist’s official website (link provided below) and from DatPiff.com, respectively. Cali Cal has remained prominent in a music category that carries more independent artists than any other. He accomplishes this by maintaining strict, high standards of song crafting, studio production, and overall good taste. These artistic principles are brought to shine through his narrative lyric stories, which true-to-life tales make music from Cali Cal resonate with listeners throughout the English-speaking world. Music fans looking for a widely varied, high-quality hip-hop album with class, style, and loads and loads of groove should look no further. “Soul Trip” by Cali Cal is available online worldwide.